The 4 Fields of Kingdom Growth by Nathan & Kari Shank is a guided self-discovery study of the Scriptures which helps individuals and groups identify and implement the 5 Parts of Jesus’ strategy for Kingdom Growth. It is an excellent resource for those interested in radical obedience to Jesus’ Great Commission. Thanks to our dear brother Pastor Jorge Molina of Christ Fellowship Miami (SBC), this resource is available in Spanish! Please note the Spanish edition was translated from the 2007 English edition. You can find this and other disciple+church multiplication resources available in our Excellent Resources page. We Are Coopers On A Mission! 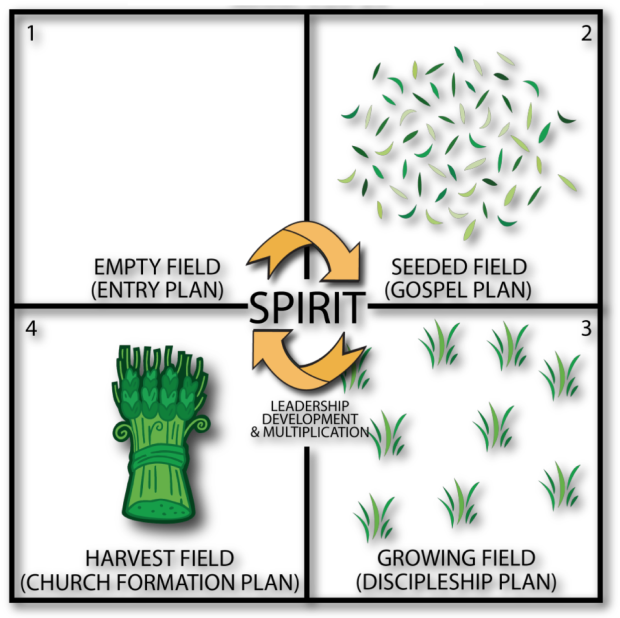 The “4 Fields” is a thoughtful process for determining how to enter, evangelize, and disciple a new mission field while building a leadership pool. A Spanish edition is now available….